Allotment Garden › Gardening & Allotment Web Links › Garden Plant Suppliers, Nurseries Etc. Ashridge Nurseries grows a huge range of soft fruit and fruit trees and supplies them by mail order across the UK (except N. Ireland). All our plant quality is backed up by top class advice from horticulturally trained staff which is freely available. Garden furniture, seeds, bulbs, plants, trees, gifts, cards, lawn care, lawn seed, plant food, pet food, pets, reptiles. Burleydam Garden Centre, Wirral, UK. Suppliers of quality fruit trees & soft fruits for over 50 years & Chelsea Flower Show gold medal winners. For a free brochure, help & advice, call 01255 830181. 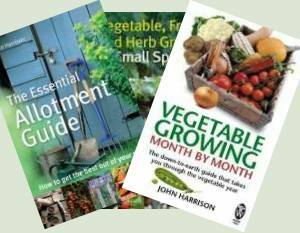 Sign up to our newsletter to receive fruit growing tips, plus details on our latest offers. We are garden fruit specialists offering a comprehensive range of quality fruit trees, cane, vine and bush fruits for the home gardener by mail order. Scented Leaf Pelargonium Specialist Nursery, mail order to UK and Ireland. 100+ named types. Highly fragrant plants classified as herbs. Aromatic leaves are used in cooking, aromatherapy, herbal remedies and medicine. Discover and enjoy. The Herb Patch is a family run Herb Nursery with on site tea room and shop located on the Northumberland / Durham border. We grow a wide variety of culinary, medicinal and aromatic herbs which are propagated and grown at the nursery. Online supplier of quality seeds and plants including vegetables, fruit trees, soft fruit, hedging, exotics and ornamentals as well as gardening accessories and gifts.